Feeling nostalgia of your pre-teen makeup days with every flavour of Lip Smackers and Wet n Wild shadow. Somewhere along the way Wet n Wild Cosmetics took a plunge but has now resurrected bigger, better and Vegan (almost) just like everyone else in 2017. If you’re Canadian (like me) you have had to rely on social media for updates but now stores are started rolling out the new products. 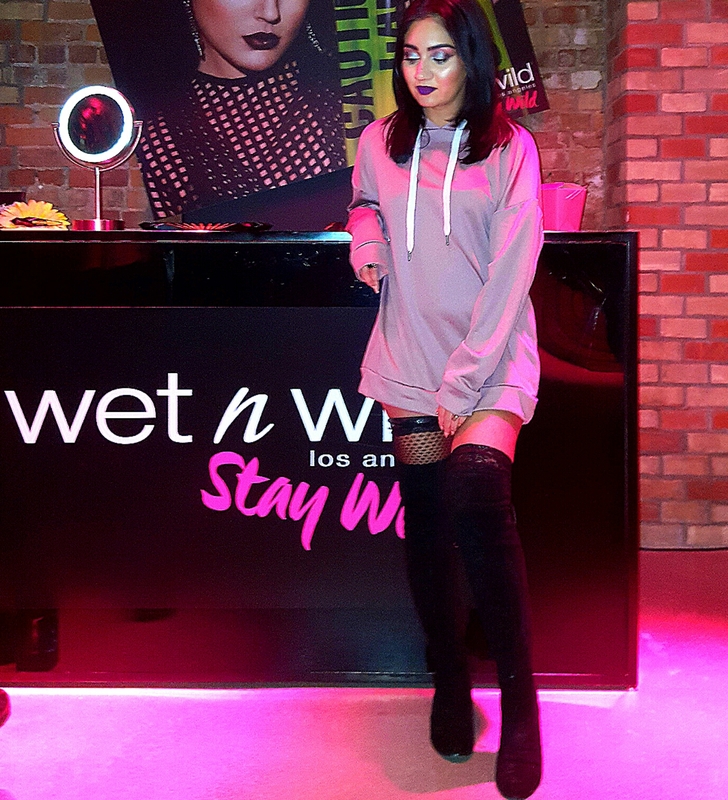 I was invited to the launch party for the new Wet n Wild products and was gifted a whole selection of the new products so here’s my take on some of the most talked about, must have products. wet n wild photofocus foundation ($7.99)& wet n wild photofocus concealer ($5.99) – key word is “Photofocus” because if you can’t take a bomb selfie for Instagram, what good is this foundation? Luckily some blessed girls were assigned with the job to take 700 selfies in various lighting to ensure this foundation would photograph perfectly with zero flashback #dreamjob. Both the foundation and concealer are super, duper light weight with a light-medium coverage. They both sit in the skin so well with zero creasing and has a longevity of good 6 hours with ease. I personally like a more full coverage foundation but this concealer has been my go to because it gets the job done so seamlessly without creasing. The best part is the extreme range of colors – the foundation comes in 20 shades and the concealer comes in 6 so you will sure be able to find your perfect match. wet n wild megaglo contour stick ($5.99) – One of my absolute favorites from the collection is the contour stick. They come in three cool tone shades that are creamy and blend so perfectly. With one swipe you get great pigment that gives you the perfect contour shade. It’s now apart of my everyday routine and a definite winner of the collection.The megaglo sticks also come in blushes, highlight and conceal. Wet n Wild lash Renegade Mascara ($7.99) – firstly, packaging. There are no words for this piece of art. Secondly wand shape – the multi-Planal shape is equipped with a ball at the end to ensure not one lash gets left behind and allows you to stroke it evenly. And of course it gives you the increased length and volume making it a perfect mascara. wet n wild gel Lip liner ($3.99) & wet n wild gel lip balm ($3.99) – the lip liner comes in an assortment of 6 colors that are extremely reasonable priced and it’s gel formula is creamy, highly pigmented, non drying and easy to use. I overlooked the lip oil balm but when I wore it I was surprised as to how soft, moisturizing they were with the slightest tint of color. These are great for no makeup days when you want a more elevated lip balm. They are made with Vitamin E and Avocado oil that gives a natural moisture to your lips. wet n wild mattifying powder ($5.99) & wet n wild photofocus pressed powder ($5.99) – perfect to set your foundation this powder is so thinly milled that it applies evenly without looking chalky, gives you a flawless matte finish and sets your foundation to stay in place all day. The mattifying powder is incredibly lightweight and removed any excess oil without leaving a white flashback. This is great to keep with you all day even though one I applied it, I didn’t need to touch up for the rest of the day. wet n wild megaglo highlight powder ($6.99) – I think this was the most talked about product the past few months so I was incredibly excited to try it in Precious Petals. It took a few times for me to really value this pigment, mixed with a setting spray the highlight gives you an amazing glow. This is definitely a top drug store highlight. Overall, Wet n Wild Cosmetics came back into the market place and really shook things up. With photo tested products, cruelty free and on the verge of 100% Vegan ingredients and incredibly affordable prices there is no reason you shouldn’t be adding these into your makeup bag! I love wet n wild. I live in Canada too, most of times I can’t find the new products they have.